Tens of thousands of Africans fail in their risky attempt to be smuggled into Europe each year and while. AGADEZ, Niger: Wild-eyed, and with matted hair after four days in the searing Sahara sun, Ibrahim Kande climbs out of the pick-up truck he has ridden from Libya back to dusty Agadez in central Niger. Currently the smuggling capital of Africa, Agadez is a crossroads of hope and shattered dreams where would-be migrants headed for a better life in Europe cross paths with others who have failed to make it and are heading home. The International Organization for Migration recorded 335,000 migrants heading northwards out of the country in 2016, and another 111,000 travelling in the opposite direction. Some head for Algeria, but most are bound for Libya in the hope of finding work there or boarding a boat to Europe. In a bid to stem the flow, Niger adopted extremely tough legislation in May 2015. But rather than halting this African exodus, it has merely made the trip even more hazardous. "I'm tired, tired, tired. The Sahara's tough going, for water, for food," says Kande, a haggard 26-year-old from Senegal in west Africa. Aside from the harsh desert crossing that has left his face coated in fine sand, Kande is carrying a heavy burden: not only did he fail to reach Europe but he now has dark memories of months of physical and psychological abuse. "This is all I have," Kande says, pointing to his dusty tracksuit. "And this is my bag," he adds, pointing to his underpants, the place where he hides his cash. "I wanted to earn money for my family but now it's too difficult," says the one-time tailor who has no money left and whose trip back home was paid for by an older relative. After spending two months in the Libyan oasis town of Murzuq, where he was kidnapped by local militia and only freed after paying a ransom, he is "happy to be back". "They call your relatives back home and you have to tell them, 'send me money or they'll kill me'," he says. And he's not alone. Others from Senegal, the Gambia, Guinea Bissau, Guinea, Ivory Coast, Ghana and Nigeria tell similar stories about being robbed, kidnapped and forced to work in conditions "like slavery". But migrants continue to arrive by the hundreds in Agadez, fully believing they can make it to Europe or that Libya remains a land of opportunity. Balde Aboubakar Sidiki, a 35-year-old from Kindia city in Guinea, sold his family's land for 17 million Guinean francs (1700 euros) but wound up in a Libyan "jail". He too says he was tortured by his captors who would beat his "soles with sticks or electric cables". 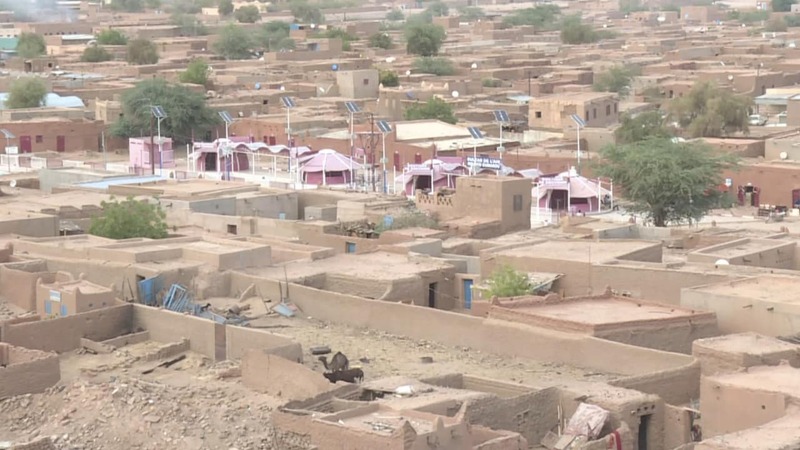 Sidiki managed to make his way back to Agadez but cannot return home "with the shame of having sold all the family land". Instead, he will try to head north again. But crossing the desert in the back of a pick-up truck packed with up to 30 people is difficult and dangerous. The migrants, their feet hanging over the edge, hang on tightly to sticks wedged between barrels of water and petrol. The 750km (465-mile) trip from Agadez to the Libyan border takes between two and three days with only very short stops for petrol and the toilet on the way. Accidents are not uncommon and they must be careful to avoid army patrols and especially bandits, who have absolutely no problem abandoning the migrants, and the smugglers themselves, in remote stretches of the desert. "We saw bodies that'd been buried. The desert is not a safe place," says Eric Manu, 36, a Ghanaian mason who returned to Agadez after two years in Libya. In the dusty city of mud-brick homes, the smugglers keep the migrants in shelters known as "ghettos" or "hostels", usually located in outlying areas far from the public eye and the authorities. Living conditions are extremely basic - a corrugated iron roof or canvas to keep off the sun, mats on the floor for sleeping, and maybe a saucepan or a teapot, but there is rarely running water or electricity. "If I have to wait a whole year, I will," says Abdoulaye Fanne, a former scrap dealer from southern Senegal who spent 10 years worth of savings - 600 euros - just to get to Agadez. 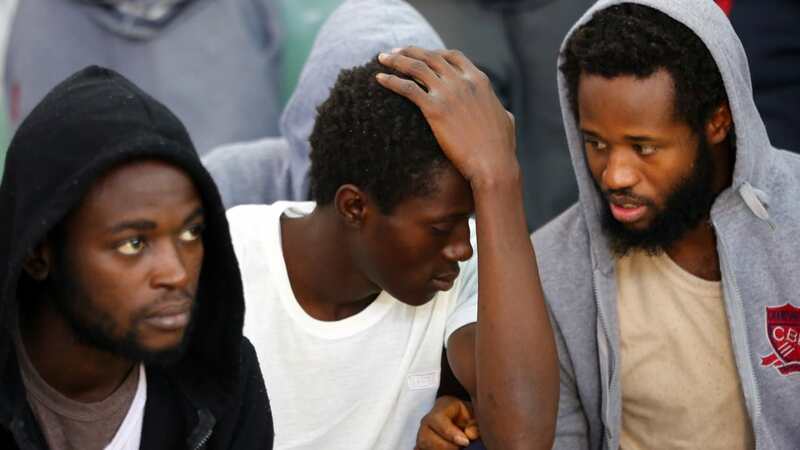 Now penniless and without a job, he is hoping his family will send him money or that he can find work to pay for his "transfer" to Libya and then on to Europe. "I want to work," says the 25-year-old. "But I've never ever been able to find a job since I was young." He had to pay bribes to customs agents and police but knows the toughest part of the trip is yet to come - the desert, the armed groups in chaotic Libya, and the possibility of drowning in the Mediterranean. "I was born into a poor family. God decides. If I die on the road, it won't be a bad thing: I will have tried to help my family," he says. "There's no other solution. I chose to either live or die." There are fears migrants could turn to drug or weapons trafficking. Entrenched smuggling activities in Libya have left Europe with a huge problem. 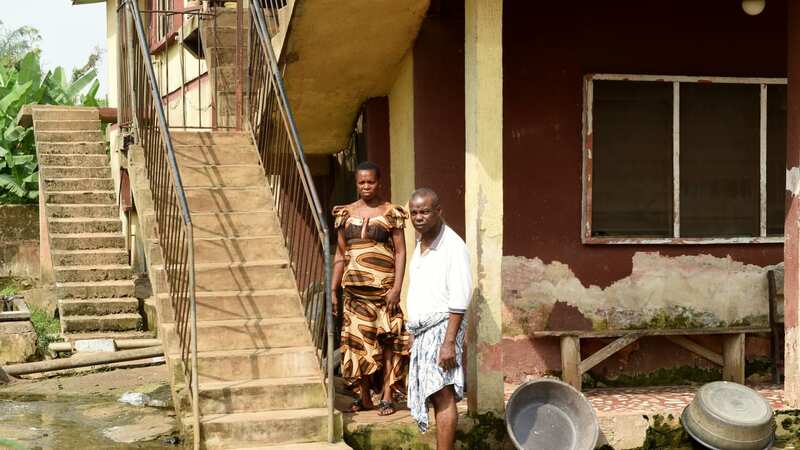 Thousands of Nigerian families have become reliant on money sent by their children smuggled into Europe. Some believe they’ll be hairdressers, others high-class prostitutes. But the reality is starkly different.